Kansas City artist Bobby Haulotte is an imminent painter of our times, addressing certain hallmarks of this decade like screens, saturation, obfuscation, artifice, split attention, and anxiety. His still life paintings feature highly saturated colors that, like post analog painting more generally, "mimic the machine just as well as they can mimic us." And the way Bobby configures objects in his paintings, removed from their utilitarian context, functions like memes and fake news circulating without context. In Wood Grain I (2018) we see a spring green bookshelf partially obscured by a dayglow pink woodgrain, like seeing the corner of a room through an impossibly thin slice of wood. Both the bookshelf and the woodgrain, and even the paper it's on, are distant references to wood and trees. The whole thing hints at some cryptic truth or utility in artifice. In Backboard (2017) Bobby has painted the glass backboard of a basketball goal missing the rim and net. It's handled from a frontal perspective and extends nearly to all edges of the canvas. Here again, we see through the surface to the trees behind. The colors and composition of the backboard itself read as a snarky reference to the surface-ness of hard edged geometric abstraction. And like his still lives, the missing rim and net remove it from a utilitarian context. 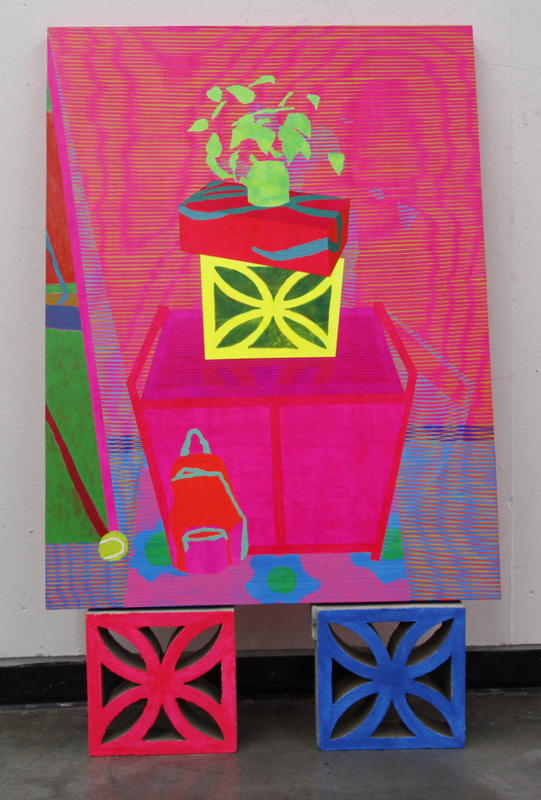 Still Life on Bricks (2018) is a playful painting of a plant on a shoebox on a brick on a table next to a backpack on a rug beside a tennis ball. 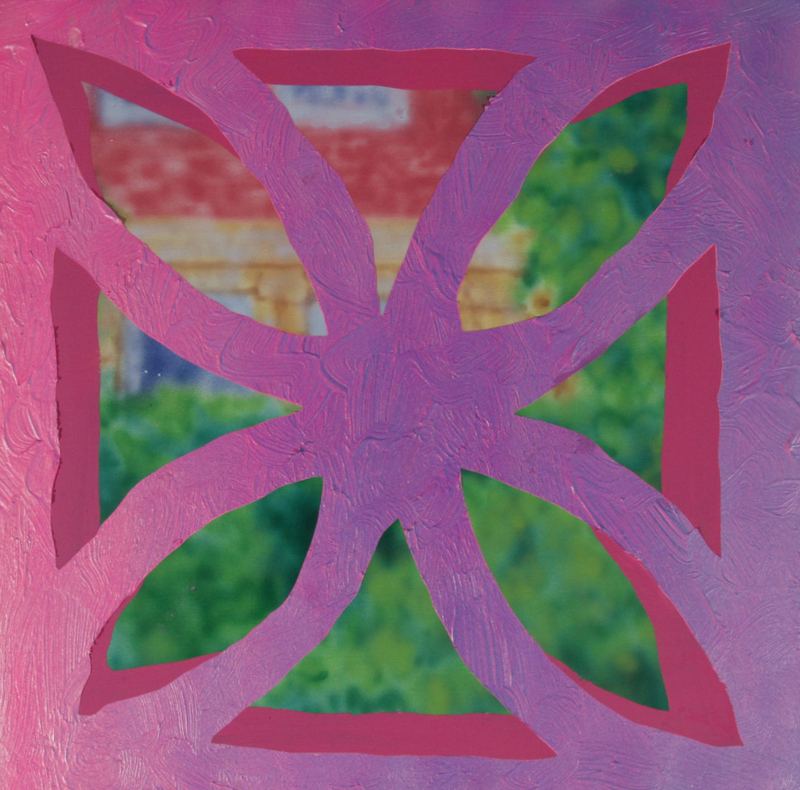 The painting rests upon a red and a blue brick, mimicking the brick in the painting, and the colors glow like a photo with the saturation cranked to 11. The experience of such bright color can be pleasant but also anxiety inducing, not unlike our social feeds.